Couple at the table. 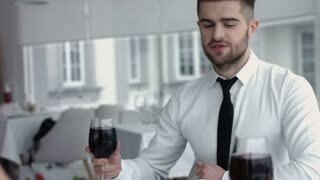 Man pouring wine into glasses. Best date restaurant.